or in part, or used for any purpose unless purchased from this web site or written permission is otherwise granted. 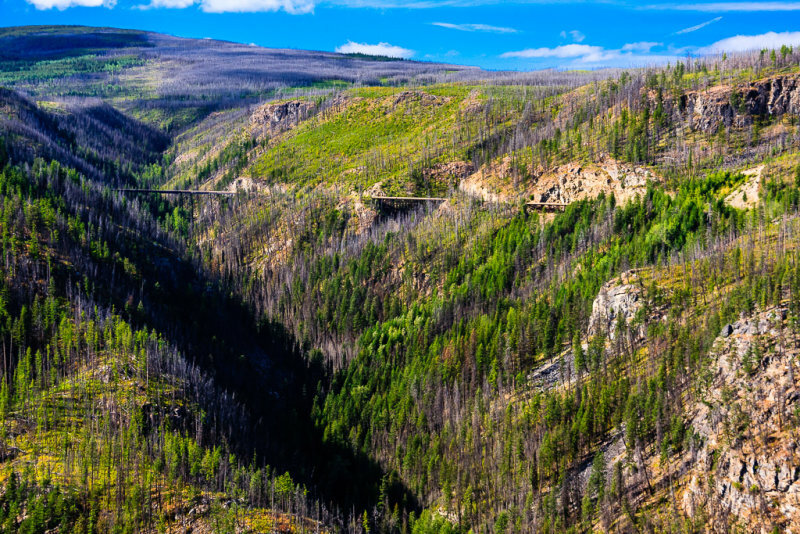 The Kettle Valley Railway through Kelowna's Myra Canyon was built between 1912 and 1914. The last trains ran through the Myra Canyon in 1972 and the rails were removed in 1980. The old rail line and 16 trestles were converted to walking trails in the 1990's. In 2003 a forest fire totally destroyed 12 of the wooden trestles, which have now been rebuilt.